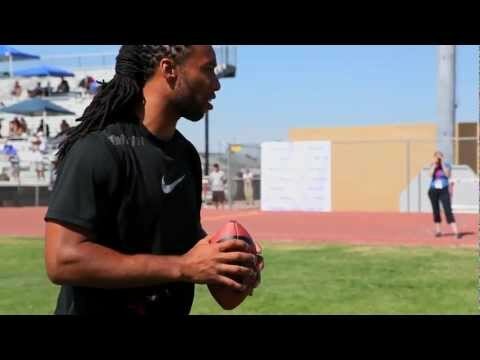 Some great shots from the Larry Fitzgerald Pro Camp camp in Tempe, Arizona held on On May 11 and 12, 2013. Larry Fitzgerald working with Oxfam America traveled to Dakar Senegal to continue his ongoing work to visit local communities working with Oxfam and improve their access to income, food and security. Oxfam trip to Senegal to visit local communities working with Oxfam to improve their access to livelihoods, food and security.